June 2014 Monthly MixTape – The Country Mix – DJPetey – FREE DOWNLOAD | DJPetey.com!!! Its that time of year, folks! This is always a controversial one! Some people got mad that I made a country mixtape last summer… and TONS of people have been asking for a new one this year. So, here it is! #bouldersummer is supposed to be about sitting on your front porch, day drinking, bbqs, etc etc etc. And it now has an official soundtrack! If youre a podcast subscriber, the mix should already be in your itunes. If you want a physical cd, come see me at one of my club nights. 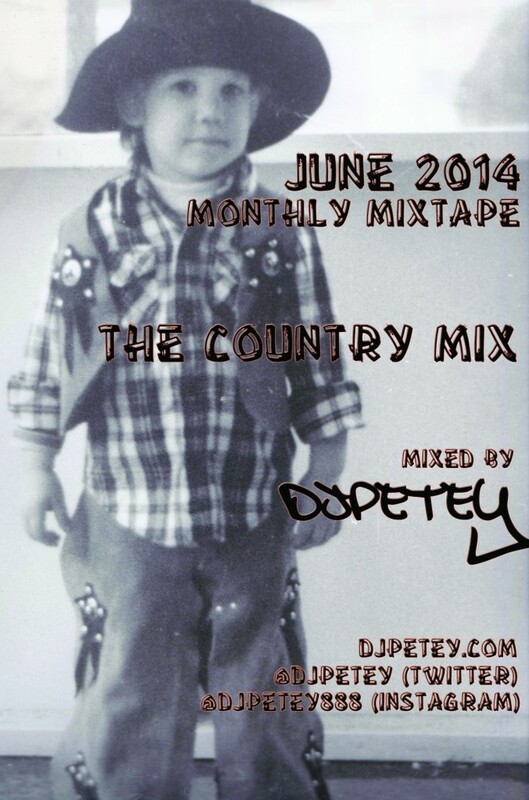 The rest of you can click HERE to download or listen to the mix now! (right click, save as to download – left click to listen now). Click “read more” below to check out the track listing and cover. Welcome to summer, Boulder! « This Sunday Night! Memorial Day Weekend!